Professor Muhammad Yunus’s visit to the LBS Yunus Centre to be broadcast on Channel 31 on July 24th! On 7 April 2017, Professor Muhammad Yunus visited La Trobe University. In a ceremony held at La Trobe’s Hoogenraad Lecture Theatre, Professor Yunus received an Honorary Doctorate from Vice-Chancellor Professor John Dewar and officially opened the Yunus Social Business Centre at La Trobe Business School. On 24 July 2017 at 8.30pm, a recording of this significant honorary doctorate ceremony and address will be broadcast on Channel 31. The ceremony, recorded in two parts, will also be available for streaming on the channel’s online platform, C31 online (available via the Channel 31 website). Professor Muhammad Yunus is widely known for his progressive theories surrounding microcredit and for founding Grameen Bank, an innovative institution which has enabled impoverished entrepreneurs to access an affordable loan scheme and start a business. Attendees to the invite-only event included of key stakeholders included the La Trobe Business School staff, members of the business community, stakeholders and collaborators of the LBS Yunus Social Business Centre, and the La Trobe Asia community. Platform: Channel 31, on television and online. La Trobe University has made the inaugural QS World University Rankings for Hospitality and Leisure Management this year, while a key faculty member recently received an international award for her tourism research. For the first time, this year’s QS World University Rankings include Hospitality and Leisure Management as a category. From Victoria, Monash University (22) and La Trobe University (50) were included in the top 50. The other four Australian universities recognised were: Griffith University (9), The University of Queensland (12), University of South Australia (27) and Southern Cross University (38). This comes as we are celebrating the 50th anniversary of La Trobe University and the 21st birthday for our Bachelor of Business in Tourism and Hospitality. It is also significant that Tourism and Hospitality was the only area at La Trobe to be placed in the global top 50. The rankings are based on academic reputation, employer reputation and research impact. Sixteen of the top 50 institutions are located in Europe, 15 are from North America, 10 from Asia and six from Australia. The University of Nevada – Las Vegas came in at first place. Many of the universities in the top 10 are specialist institutions, including Ecole hôtelière de Lausanne (2) and Swiss Hotel Management School (8). Associate Professor Jennifer Laing of the Department of Management, Sport and Tourism at La Trobe University was recently awarded the Emerging Scholar of Distinction for 2017 by the International Academy for the Study of Tourism. She received the award at a conference in Guangzhou, China in May. Laing says that most of her research has been conducted in Victoria. “My research on festivals and events has primarily examined their social benefits and meanings, such as their role in changing environmental behaviour,” she says. “I have also looked at practical problems such as governance issues affecting the viability of rural festivals, like succession planning and volunteer burnout.” Her work has covered four main research areas: the social dimension of events, the role of tourism in rural and regional development, media and travel narratives, and health and wellness tourism. The Academy (which is headquartered at the School of Hotel and Tourism Management, The Hong Kong Polytechnic University) was created to further scholarly research in tourism, and its Fellows are comprised of highly accomplished tourism researchers from around the world. Up to three scholars receive this award every two years and applicants must be within 10 years of having completed their PhD. The award acknowledges Dr Laing’s contribution to tourism research and her substantial publication track record of innovative and ground-breaking research in top-tier journals and co-authorship of five research books. It is the first time a Victorian scholar has won this award. LBS’s Angela McCabe’s research project features on Clarivate Analytics State of Innovation website! Recently, La Trobe Business School Lecturer in Management, Dr Angela McCabe’s research project has been featured as a case study on the Clarivate Analytics (formally Thomson Reuters)– State of Innovation Website. The article also features Angela’s colleagues from University of Melbourne and INSEAD. Clarivate Analytics is a leading provider of intellectual property and scientific information, decision support tools and services that drive Innovation for governments, academia, publishers, corporations and law firms as they discover, protect and commercialize new ideas and brands. The State of Innovation website highlights research projects featuring Clarivate data. Our research examines climate change research from the perspective of management studies, to clarify the communicative and evaluative dynamics by which research spreads and diffuses across disciplines. We seek to examine how the metrification of the sciences facilitates ‘evaluative tournaments’ that act as de facto ‘arbiters of truth’ in the realm of climate change. We examine how evaluative tournaments — represented by practices such as rankings, impact factors and citation scores — accord greater value to one understanding of climate change over another. In our analysis we are drawing on a custom dataset provided by Clarivate Analytics comprising over 3500 climate change articles published in Nature and Science from 1980 to today. Access the full case study on the Clarivate Analytics website. Neil Dalrymple, the latest recipient of the La Trobe Business School sponsored Vicsport Victorian Sport Administrator of the Year Award, has done exactly that. Dalrymple’s passion for sport can be traced back to a childhood where his sporting endeavours as an up an avid cricketer, footballer and golfer took him abroad. After years of playing, Dalrymple decided to jump ship and begin a career in sports administration in 1987. “I’d been playing cricket overseas, mainly in England, for two winters and then I came back to Australia and got a job with the Australian Cricket Board (now Cricket Australia),” Dalrymple says. From his first job at Cricket Australia, Dalrymple’s work over the next twelve years would see his hard-work and dedication spread over a number of organisations. He worked as the CEO and National Development Officer at Softball Australia for eight years, was appointed CEO of Northern Territory Cricket in 2004 and worked in the role until 2006 before returning to Cricket Australia for a two-year period as the Community Cricket Manager. It was in May of 2007 that Dalrymple moved into his current role as Bowls Australia CEO and after ten years at the helm, his commitment was rewarded with the La Trobe University sponsored VicSport accolade. During his time in the top job, Dalrymple says the constant need to evolve has expanded his horizons. “That need for change is based on a lot of evidence, similar to twenty-twenty cricket, because if you don’t adapt and shorten your sport and game format to something that can fit within the space of an hour or two then you are going to struggle to get new participants,” Dalrymple says. This creative change, Dalrymple explains, is brought upon by the misconception around the age of people that play bowls. One shorter version of the game is the Australian Premier League and was introduced around four years ago with the competition broadcast to a live audience on Fox Sports. Dalrymple believes this media coverage is helping shift outsiders thinking of bowls. Along with creating shorter versions of the game, a number of structural changes have taken place over Dalrymple’s time at the top with the replacement of state association development officers to regional bowls managers employed by the national body. This centralisation has in-turn allowed Bowls Australia to receive more funding from the Australia Sports Commission. After years of hard work at the helm of Bowls Australia, Darlymple’s acknowledgement at the VicSport Awards was “thoroughly pleasing”. Neil is currently exploring study and professional development opportunities with the La Trobe Business School for himself and his staff using the scholarship money offered with the award. With over 20 years of experience within the sports industry, Dalrymple’s advice to anyone wanting to follow a similar path is to come in with the right attitude. The Finance Discipline at La Trobe University Business School is pleased to announce a Call for Papers for the 7th Conference on Behavioural Finance and Capital Markets inviting finance scholars, practitioners and research students to participate. The event will be held on the City Campus of La Trobe University in 360 Collins Street, Melbourne on Monday and Tuesday 25-26 of September 2017. A tour of selected boutique Yarra Valley wineries after the Conference on Wednesday 27 September will offer an opportunity for informal networking. The Behavioural Finance and Capital Markets conference aims to bring together scholars and practitioners and to present state-of-the-art research in the fields of Behavioural Finance, Experimental Finance and Capital Markets/Market Microstructure. The conference showcases cutting-edge research by two keynote speakers who are both internationally distinguished scholars specialising in Behavioural Finances, Experimental Finance/Economics and Market Design: Prof. Peter Bossaerts (The University of Melbourne, Professor of Experimental Finance and Decision Neuroscience Honorary Fellow, Florey Institute for Neuroscience and Mental Health, previously from Caltech and the University of Utah) and Prof. Jacob Goeree (Scientia Professor, Director AGORA Centre for Market Design UNSW, previously from Caltech and the University of Zurich). The conference will also feature a unique Finance Industry Forum on the role of digital technology in financial markets. The topic of the panel discussion this year is: ‘The Good, the Bad and the Ugly: Innovations, Disruptive Technologies and the Impact of the Digital Revolution on the Finance Industry’. The Behavioural Finance and Capital Markets Conference’s objective is to facilitate the dissemination and generation of research on topical problems in Finance that are addressed from various perspectives. Presenters are encouraged to submit newly finished papers that cater to the broad audience of delegates comprised of scholars, research students, industry professionals, market regulators and policy makers. All papers presented at the 7th Behavioural Finance and Capital Markets 2017 Conference will be considered for submission to a special issue of the Pacific-Basin Finance Journal on the conference theme: Behavioural Finance and Recent Developments in Capital Markets. Paper: In the full version of the paper all identifiable information of any author(s) must be excluded from the text and properties of the file saved as a pdf (.pdf) format. Presenters are required to submit two electronic copies of their paper with the file name labelled as the presentation title (no author details are to be included within file name. Co-supporters and sponsors: La Trobe University Business School, CMCRC, SIRCA, Amery Partners, OpenMarkets, FIRN, Serafino Wines and Elsevier. Why would you become a student representative? Let me rephrase that.Why would you want to read 30-page policies? Why would you want to spend hours in meetings? Why would you choose to put yourself out there and speak up to higher management? Why would you want to deal with other people’s problems? Why would you want to be the one to open up a can of worms? You won’t believe this, but it’s actually quite fun! Of course, there is the feeling of satisfaction for serving the greater good. I can’t deny that it feels awesome to help fellow graduate students when they have issues concerning their PhD journey. There is the unique experience of learning how educational institutions operate, of realising how complex universities are and getting a sense of the politics behind it. There are the networks you make, not only with fellow graduate students but getting to personally know the people in charge! You know, the ones that help run this joint, like the Dean, Associate Vice-Chancellors, Pro-Vice Chancellors, School Graduate Coordinators and so on. They are the kind of people that might come in handy when you need an extension, reference or a job. Talking about jobs, extracurricular activities definitely boost your resume. I have built up a wide array of examples for future job interviews that show leadership skills, project management, resolving conflict situations, organising events, time management, teamwork, etc. I hate to say it, but it’s important to show your future employer that you’re more than just a person who holds a doctorate. Let’s face it, our future prospects in academia don’t look all that great, especially not when all you have been doing is your PhD, just like all the others holding doctorates out there. But, as I said earlier, it is also just really fun. Going to exclusive events, getting free food and drinks, making new friends among your fellow PhD students, learning that the students in the other College aren’t as scary after all, and just getting the opportunity to hang out with people you would otherwise never come across. Another great thing about being a student rep is that it allows you to get away from your PhD research without feeling too guilty about it. I quickly realised that working full-time on my PhD research was not going to work for me. It is mentally draining, I have a short attention span, and I’m easily bored. These three years should not only be about working hard on my research, but also for some socialising, fun, and freebies as well! And if you think “it doesn’t matter because nobody will listen to us”, you’ve got it all wrong. When I started out as a graduate student representative about a year ago, I quickly came to realise that La Trobe takes its graduate student reps seriously. When we raise issues, action is usually taken straight away and feedback that we give on candidature policies actually gets incorporated. If you are like me and allergic to people who only complain and don’t do anything to make their problems go away, and if you read this blog thinking being a student rep could indeed be fun, then shoot me an email (a.brouwer@latrobe.edu.au) and let’s talk about how you can get involved! 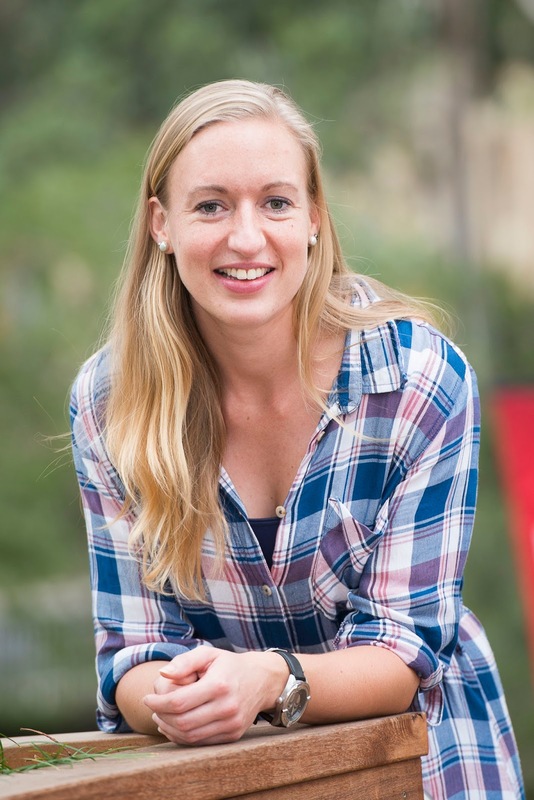 Anne Brouwer is a PhD Candidate and a Research Scholar in the La Trobe Business School at La Trobe University. She has completed a Master of Science degree from both the Technical University Munich and University of Wageningen, and holds a Bachelor of Commerce from Zuyd University of Applied Sciences. Her research interests are in green marketing, greenwashing and sustainable consumption. She is the student representative for the ASSC College on the Board of Graduate Research and the student representative for the La Trobe Business School. Outside LTU activities she travels around the world (whenever her schedule allows it), volunteers as a marketer for a non-profit organisation, hikes around Victoria and cycles a lot. She tweets from @AnneRBrouwer. This post was originally published on the RED Alert Research Blog. Recently, La Trobe Business School’s Dr Tarek Rana delivered an interactive workshop to local businesses as part of an industry engagement initiative between Moreland City Council and La Trobe Business School. Dr Tarek Rana’s workshop showed how a business can improve its financial outcomes by linking budget with the business strategies. The workshop was focused on refining the way owners manage budget and cash flow by identifying organisational objectives and developing short-term goals and long-term strategies. Dr Rana has discussed many steps a business owner or manager can do at minimal cost to improve, measure and assess performance, re-evaluate objectives, goals, strategies through budgeting and cash flow management. These workshops are also an important way in which LBS is strengthening its relationships with local industry and the business community. Dr Tarek Rana is La Trobe Business School Academic Coordinator for Albury-Wodonga Campus and a Lecturer in Management Accounting with La Trobe Business School. Prior to becoming an academic, Tarek was a Principal and senior manager of professional accounting firms in Sydney and Canberra. He has considerable practice experience in the areas of business services, taxation, auditing, and financial planning as well as consulting services including performance measurement and risk management. Tarek has strong links with professional accounting bodies both in Australia and overseas. He is La Trobe University Albury-Wodonga liaison for CA ANZ, CPA Australia, and CIMA UK. He has served as an executive committee member of the CIMA Australia ACT Branch (July 2013 – June 2016), and now serving as a council member of CPA Australia Albury-Wodonga Branch (February 2017 – Present) and a branch committee member of the Chartered Accountants Australia and New Zealand Albury-Wodonga Group (August 2016 – Present).